Btcmines is a very easy faucet game . I think it should have 4 or 5 months but im not sure. Withdraws are instant and they are paid to Faucethub so you have to have a account there. What we have to do in this Faucet game is give apples to our miner for keep him working and mine satoshis. To get the apples we use the faucets of the game. There are 3 types of faucets, the normal type, one with videos and the third is a auto faucet, is kinda like those surf sites that you just let it run automaticaly in auto pilot. The one i use more is the third, the autopilot. I open the site twice and 1 tab have the autopilot faucet and the other one is the page with my miner mining so i can check when he need more apples. 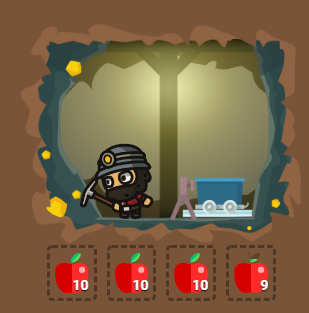 Max we can give 40 apples at the same time to the miner and 40 apples last around 1 hour , probably a bit more. Each 40 apples give you around 40 satoshis. We can also buy other miners , etc but they are expensive so i dont recommend. I only gonna stay with the free miner, is fine this way. Plus to invest in other miners we never know how long this sites last so dont invest . Fergal on Twitter • Total Clicks: 51,761 • Total Links: 38 • Add Your Link!